For many of us, July means one thing sports day. Or at least it did until we got told to stop gatecrashing sports days at local primary schools. 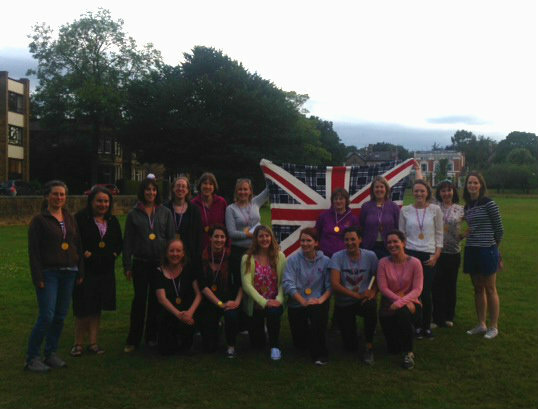 In order to recreate our childhood (and avoid arrest) we decided to hold our own Spa Sweethearts Sports Day on the Stray in Harrogate. Organised by the ever-reliable Catherine, it involved egg and spoon races, three-legged races, a sack race, and lots of things with those tiny bean bags. Naturally, we split into two teams to make it competitive, and everyone seemed to find a sport they were good at (or at least not embarrassingly bad). Just four points separated the two teams by the time of the final race, and there were extra points on offer for the traditional relay, so it was the most competitive event of the night. Team 1 performed brilliantly, but in the end Team A took the glory with excellent speed over the eight legs of the relay. 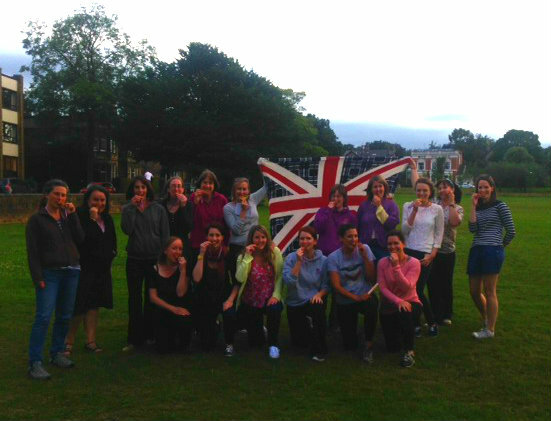 Luckily, there was a Union Jack picnic blanket on hand for our celebrations (this is the WI – there was food and wine involved before we could do anything else). And of course, with fantastic chocolate medals provided by Lucy, there was the obligatory biting-your-gold-medal shot at the end (before we actually did bite the medals and eat them).